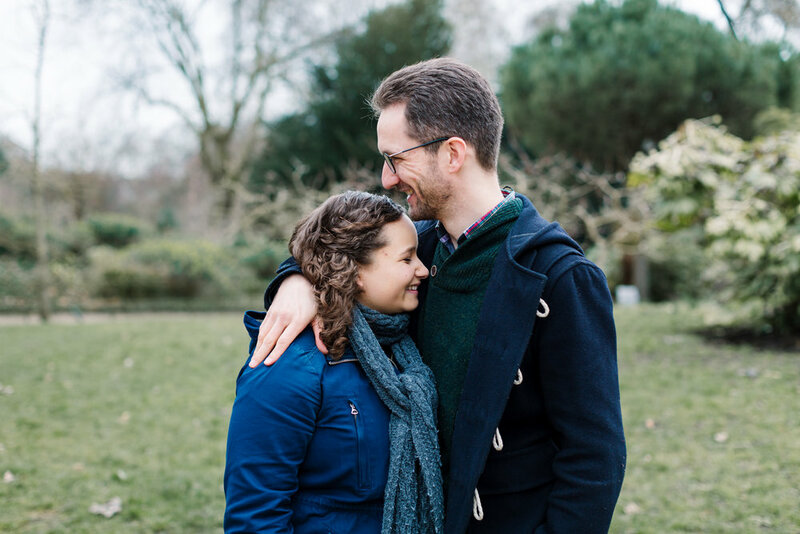 Eleanor and Paddy chose Battersea Park as the location for their pre-wedding photography session in London. They used to live there and so it was a great location for them to have their pre-wedding photography session as it holds strong memories for them, especially since they still have family in the area. I always love working at new locations and exploring the area, so this was a new adventure for me. Battersea Park is an urban, industrial area with lots of charm. I love the idea of having a rural type area in the midst of such an industrial part of town. The park is beautiful with lots of little charming areas for photographs. Eleanor, Paddy and I spent an hour strolling around the park chatting wedding plans and getting to know each other a bit better in advance of the wedding day. I love spending time with my couples before the day as it's so nice to establish a friendship beforehand, so that we are not complete strangers on the wedding day and they feel totally comfortable around me throughout. We had a great morning and the session was lots of fun while we hunted high and low for the Battersea Park water fountains, only to find that they were currently being serviced and were switched off haha. Nevertheless, Battersea Park has endless photo opportunities and we captured some beautiful moments. Paddy and Eleanor are getting married at the Hospitium in York in October. I am super excited about working at this stunning venue with such a lovely couple! 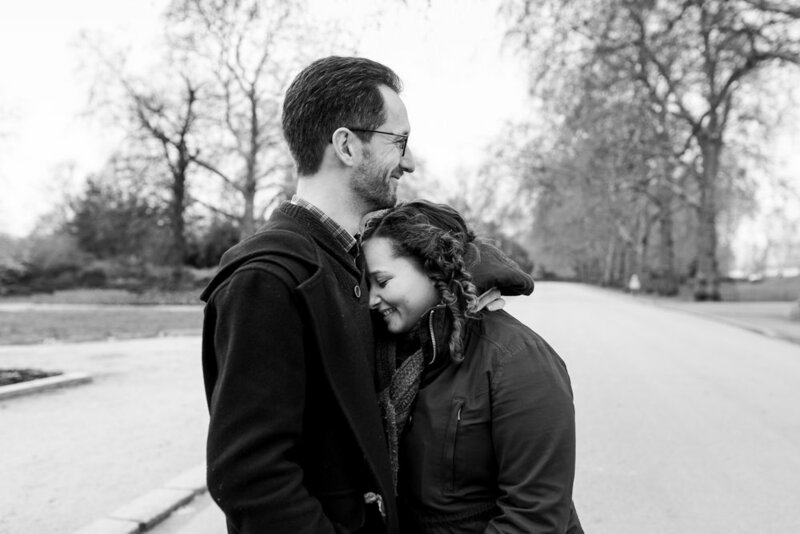 Here are some of my favourite moments from their pre-wedding photography session at Battersea Park. 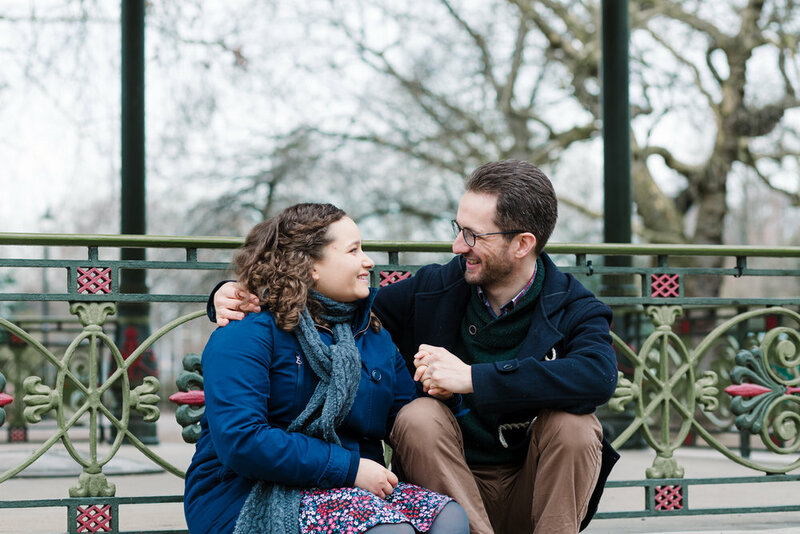 If you're considering having your pre-wedding photography session in a London Park, I'd love to photograph it for you. Just get in touch via the contact form here. I look forward to hearing all about your ideas!